Photoshop CC, Adobe’s flagship image editing app, remains an industry standard because of its innovative vision of how the software can assist photographers and graphic designers in doing their jobs. While technically, Photoshop’s subscription model frees it from the tyranny of yearly upgrades, Adobe still announces high-profile updates on a yearly schedule. Having dispensed with commercial version numbers (it is now at version 20), Adobe now renames the app according to the prospective year. If you already use Photoshop CC, then you are either a Creative Cloud or a Photography Plan subscriber, which means that the Photoshop 2019 update is automatically available. If you are not a subscriber, new features in the 2019 version may inspire you to give the app a try. 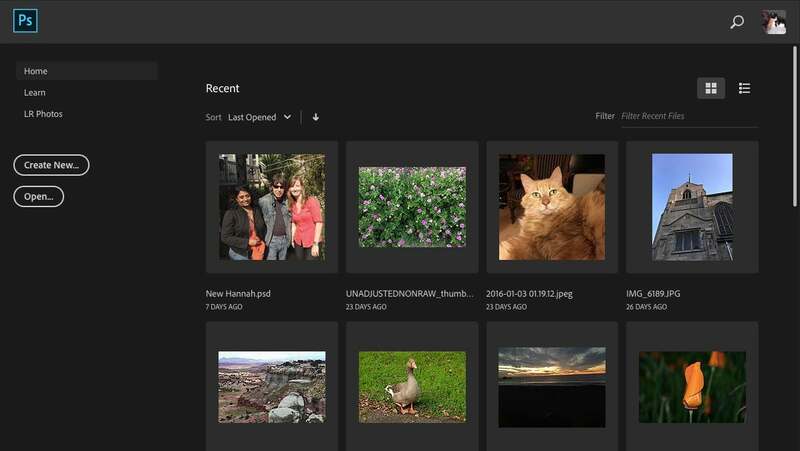 The 2019 version offers improvements to existing features like Content Aware Fill and Home Screen, as well as new tools like the Frame Tool and dynamic Blend Mode previews. It even adds something many felt it should have had all along: a Color Wheel. The Symmetry Mode, which was a technical beta in the last version, has now been fully implemented, letting you paint brush strokes in a symmetrical pattern. Improvements to the interface, like matching the font size to the app’s controls, makes the experience more cohesive. A single click in the Preferences scales toolbars, icons, buttons, labels, and panels according to type size—tiny, small, medium, and large. You can now scale the interface to the font size. 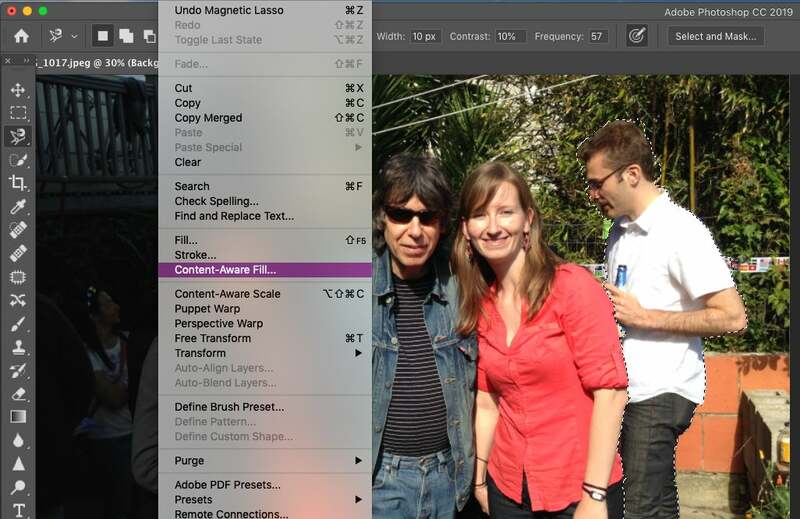 The new version of Photoshop revamps some common key commands to match most other programs. The new Undo (Command-Z) makes sense to most people, though it might be a challenge to the muscle memory of current Photoshop users who have long been accustomed to a different key combo and the Step Backward command for multiple undos. Similarly, Transforming a layer no longer needs the Shift key to preserve aspect ratio as you resize. 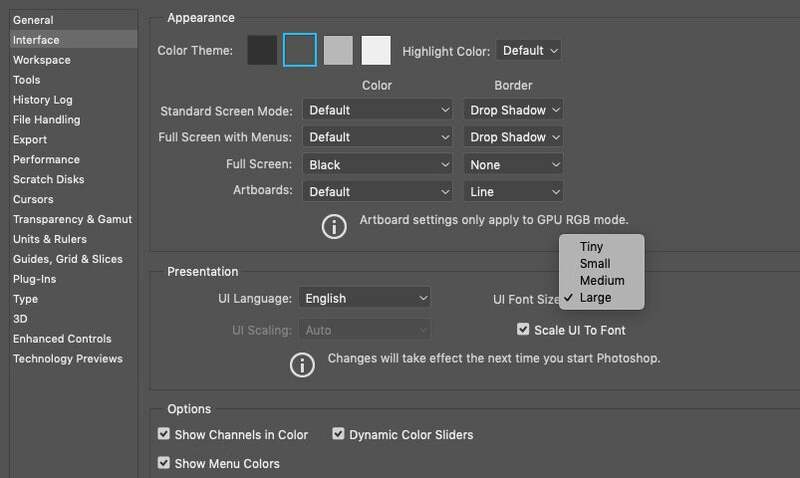 You can now have Photoshop do math calculations in the image sizing tool or other fields that call for numeric values. Adobe has fashioned the home screen into a centralized resource for recent shots, tutorials, and your Lightroom catalog that you can access at any time via a new Home icon in the Options bar. Finally, Photoshop features a native Color Wheel. 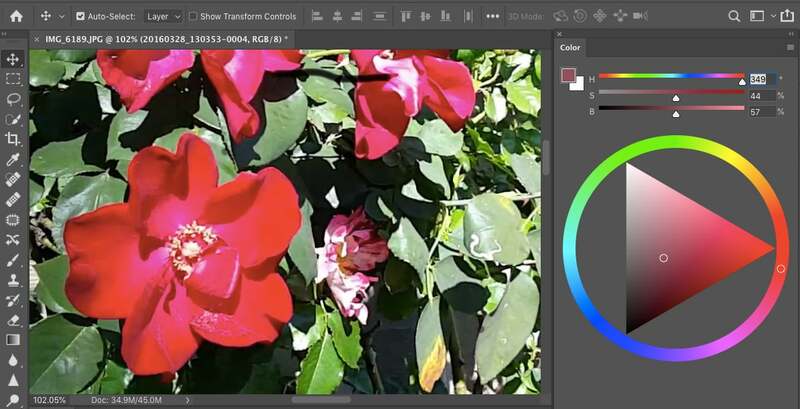 The absence of a color wheel, à la Corel Painter, has always irked some users, and now Photoshop 2019 sports one. It operates the same way as classic color wheels, and will doubtless please many users who no longer have to rely on a third-party color wheel plugin. Content Aware Fill is an algorithm that “sees” what’s behind an unwanted or distracting object in your image, allowing you to remove it without a trace, and replacing it with the background that would have been there. This year, Photoshop leans into the content aware process with a new command and accompanying workspace that offers tools and options for more precise and complex fills. 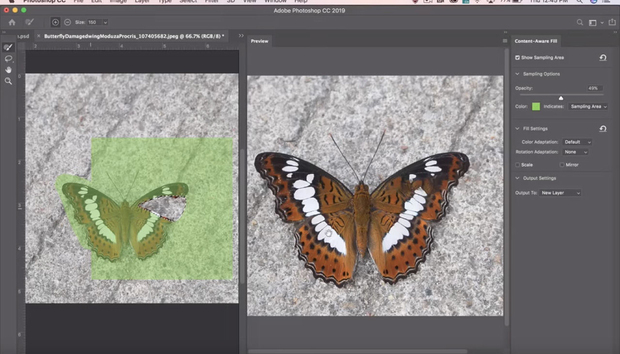 You can now use an AI-enhanced live preview (powered by Adobe’s Sensei artificial intelligence engine) to pick and choose which part of the image the program should sample or exclude for precise control over the results. This update to the Content Aware Fill feature let me remove an unwanted object from a photo I’ve been working on literally for years—an extremely challenging job that I was unable to accomplish with previous versions. Gotta lose the white shirt guy holding the beer. Use the new Content Aware Fill command. The ability to control the fill sampling completely removes the white shirt guy and provides a great place to crop for a pleasing composition. Live Blend Mode is another timesaver for the Photoshop workflow, letting you cycle through every blend mode with just a mouse hover to see how each would look if applied. It’s also great for newcomers to get quick idea of what blend modes can do. Caption: Live Blend Mode preview lets you try each option directly on your image without a mouse click. Live Blend Mode preview lets you try each option directly on your image without a mouse click. The friendly new Frame Tool makes masking easier for new users by creating a placeholder for frames in your images. That way you can place any image into the frame and it will automatically resize to fit the window you created. You can create as many frames as you want in a layout. Once images are inside the frame, you can transform, move, or swap them. The new Frame Tool lets you draw rectangular or elliptical frames into which you can drag and drop any image you want for a perfect fit. With Photoshop CC 2019, the question is not whether to upgrade: Creative Cloud or Photography Plan users already made that decision. It’s more about whether you want to invest in the subscription to get its top notch new features. 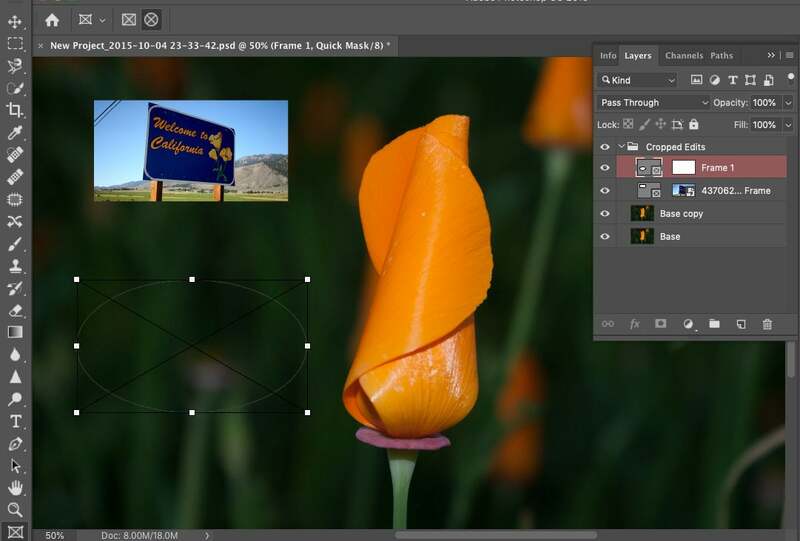 If you are an advanced amateur, photo enthusiast, or pro photographer or designer, give Photoshop CC 2019 a try. The Photography Plan costs $9.99 per month, and it includes Lightroom CC, Lightroom Classic CC, Adobe Spark with premium features, Portfolio, and 20GB of online storage. Enhancement of the Content Aware Fill feature alone is worth the price of admission, with the Frame Tool and Blend Mode previews as close runners-up. Jake Freivald (Europe) - How Does your Data Perform for you? Dr. Martin Karlowitsch (Global) - The Gantt Chart: Already Dead or Still Alive?